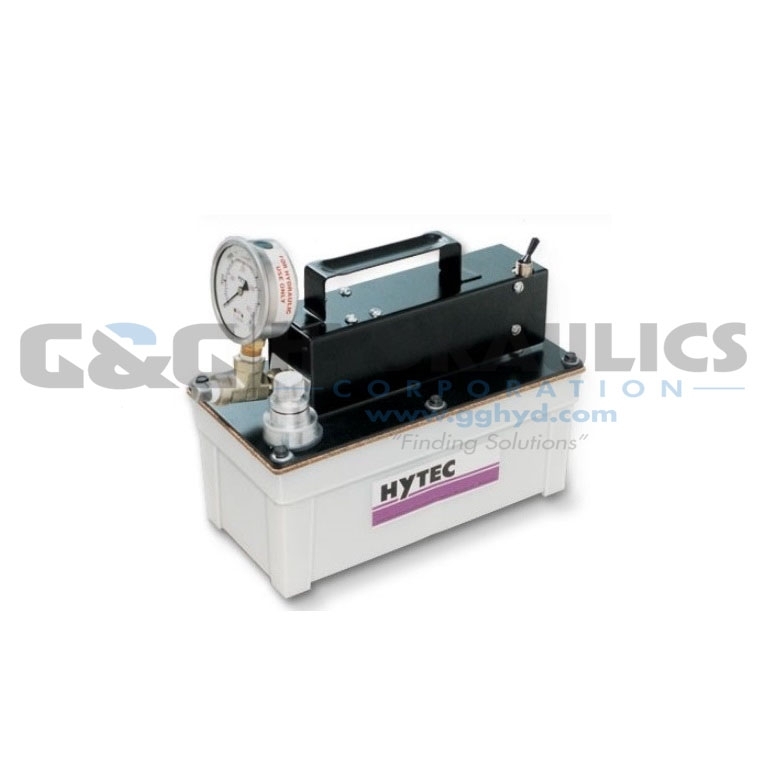 Part #100918 Hytec Air to Hydraulic Pumps 40-110 PSI. Filtered fill cap with dipstick, Liquid filled gauge, 105 in3., high-density polyethylene reservoir. Available with all piston options, this single-stage power source is a continuous pressure, reciprocating, stall-type pump. 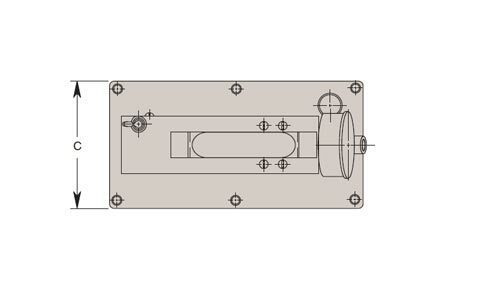 Air pressure is simply converted to usable hydraulic pressure. 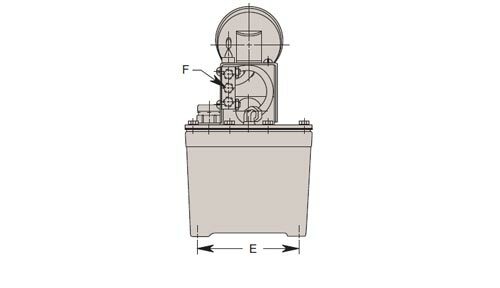 Operated by any compressed air source, this pump saves energy by stalling when hydraulic pressure is developed and then requires no additional energy to maintain system pressure. Designed for single acting systems, this pump has a built-in selector valve to choose either the pressurize or release mode. No additional valving is required. 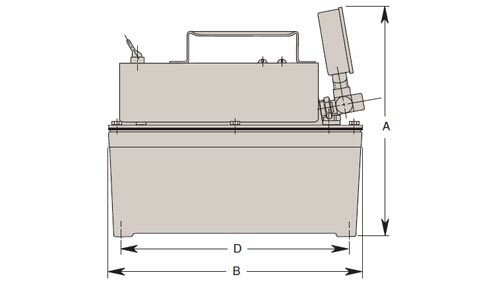 An air supply filter/regulator/lubricator (not included) is required for making pressure adjustments. NOTE: Mounting screws included (9-15 x 1.00 Lg.). AIR REQUIREMENTS: 20 CFM (max.) at low hydraulic pressure decreasing to 0 CFM when pump stalls.